Did your forklift battery fail before your lease was up? 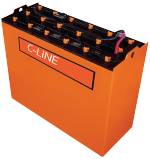 Have your batteries lost enough energy capacity to keep your forklift truck from completing a full shift? A short-term rental could be the solution. MCP keeps an inventory of standard size batteries and some not-so-common batteries. A month-to-month or even week-to-week rental could provide you with the time to make the financial commitment for a new purchase. Why buy a new battery for equipment you plan to turn in at the end of the lease? Rent a battery on a month-to-month basis until the lease is up and save. Sometimes your needs don’t sync with capital planning. MCP offers an alternative to ownership through our long-term rental programs. If you have a monthly operating budget with some room, let us help you find a lift truck battery and charger combination that will match your needs and budget. MCP can establish a program that is flexible enough to fit your financial constraints and bridge the gap to equipment ownership. 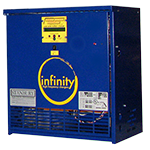 If equipment ownership is not in your future, we can tailor a long-term rental program and rotate equipment so that your batteries are running at full capacity throughout the rental term. An MCP rent-to-own option can be a solution when a lease doesn’t fit with your financial plans or if you have any uncertainty about your future operating requirements. Our program applies a certain percentage of your rental rate to the purchase of the batteries and chargers, but also gives you the freedom to release the rental early if your plans or requirements change. Talk to one of our Associates to see how this program could work for you.